We are pleased to announce that American Insurance Organization (AIO) has been named to the prestigious Inc. 5000 list for 2016! 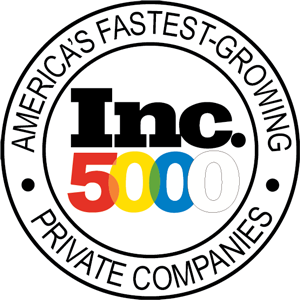 The Inc. 5000 annually ranks the country’s top 5000 fastest-growing private companies, according to percentage revenue growth over a three year period. With an over 340% jump in revenue from 2012 to 2015, AIO is ranked in the top 25% of listed companies. To qualify for the annual Inc. 5000 list, which is put out by Inc. magazine, companies must have been founded and generating revenue by the first week of January 2012, and be able to show three full calendar years of sales. Additionally, qualifying companies must be U.S. based, privately held and independent. Revenue in 2012 must have reached $100,000, and revenue in 2015 must have been at least $2 million. In topping the list, AIO joins the ranks of companies like Microsoft, Zappos, Under Armour, GoPro and Timberland. AIO is included in the “Insurance Companies” category, which covers a wide assortment of business concentrations- including all aspects and lines of insurance like financiers, adjusters, warrantors and property & casualty lines of insurance marketers, among a plethora of other focuses. In the varied “Insurance Companies” category, AIO ranks 14th in the nation for growth. AIO beats out every other individual health insurance marketer in this category, and of the top twenty companies listed in this vastly broad category, AIO ranks #8 by revenue for 2015.